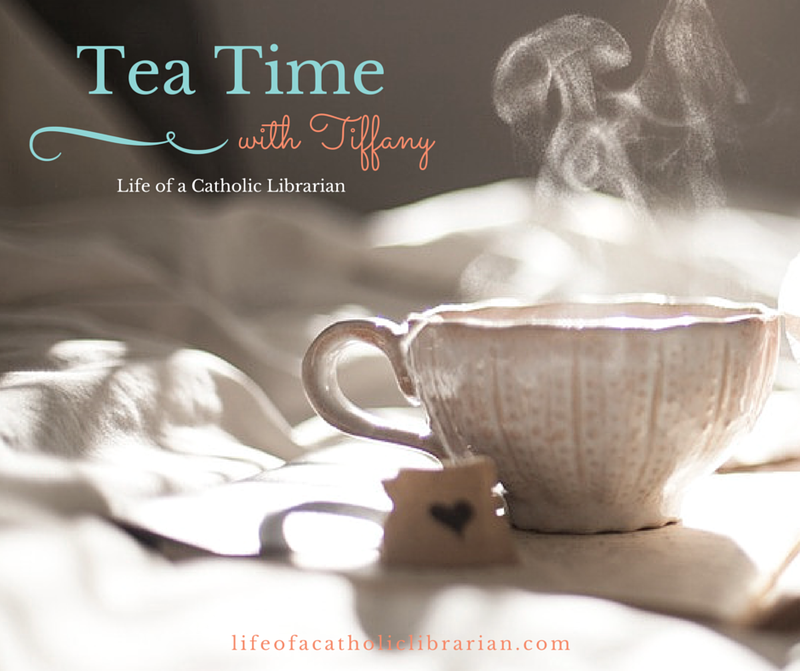 Life of a Catholic Librarian: Tea Time with Tiffany Episode 8 - What role does faith play in your marriage? Tea Time with Tiffany Episode 8 - What role does faith play in your marriage? This is a very personal topic, probably the most so of these video posts that I've done. And thus, before I recorded this, I prayed for the Holy Spirit's wisdom (since God knows, I don't always have any on my own!). And it is my hope that by sharing my story, it will be helpful to someone out there. I hope also that my brief discussion does justice to the beautiful, multi-dimensional sacrament of marriage, and to the man that I am privileged to share my life with, my absolutely adorable and sweet husband, Mike. Novenas and chaplets. You've come to the right girl for that one! St. Monica. I mention in the video that St. Monica prayed unceasingly for her son, Augustine, a story which we're all likely very familiar with. But I didn't realize that prior to this time in her life, St. Monica in fact prayed her husband into the faith, and is the patron of wives! Now it's your turn, if you'd like to share. What role does faith play in your marriage? If you are unmarried, but hope to marry, what role do you aspire for faith to play in your future marriage? Interesting discussions. I would characterize my marriage as a mixed marriage in everything but name. 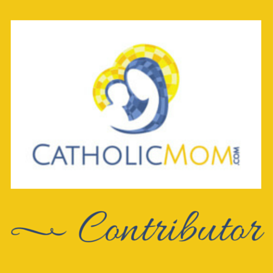 Meaning, my husband and I are both cradle Catholics, but the Catholic faith my parents transmitted to me bears very little resemblance to the Catholic faith my husband's parents transmitted to him. And, this forum is probably not the place to discuss particulars, so I won't, but it is an interesting struggle, because there is a perception inside and outside the Church that Catholics are this homogeneous mass (no pun intended) of people and if two Catholics marry, it's all good. The simple reality is that almost never are two people, of the same religion or different, in the same place spiritually when they marry. And I've been a little surprised when asking for prayers on this issue that the attitude can often be something along the lines of "you both go to mass, what more do you want?" Er, sorry to be picky, but we should all strive for greater holiness. That's what we are called to do. And, am I the only one who finds marriage difficult? Wowsers. I certainly pray for our marriage, and for the graces that we both need to grow together in the vocation we have chosen. To that end, St. Jane Frances de Chantal is a favorite saint of mine as the first years of our marriage were very difficult due to some unusual circumstances that I thought she would be helpful with. I also have a devotion to St. Joseph, as one of his many patronages is of families. When I began praying to St. Joseph, I had read repeatedly that when you seek his assistance, firstly, be prepared for the assistance to come, but perhaps not in a form you expect, and secondly, St. Joseph's assistance is great, but likewise can be brought about in ways that may cause waves or create turmoil. In other words, if you want your graces to confer as a gentle rain instead of a lightning bolt, he may not be your guy. That. Is. The. Truth. Since my husband and I are both cradle Catholics, my opportunities to have conversations about the nature, trajectory and expression of faith are likely different from others in fully mixed marriages. There are some commonalities of experience, at least, that open the door to wider ranging discussions. And, because of that, my personal experience is that there is a time and a place for prayer, but also a time and a place for saying that something is not right and needs to change, which can create some conflict. I guess the way I see it, I don't expect my husband to be a mind reader, so if I don't at least make the case for change, I can't presume to motivate any. Amy, your contributions are always valued and appreciated here, and as ever, your comment is thought-provoking and very indicative of what is on my own heart. I think you and I may somehow be related. :) This issue is one very close to my heart, because I know people who are very apprehensive about anybody entering into an interfaith marriage. I totally understand where they are coming from, but I completely agree with you that pretty much every single marriage involves two people with non-identical spiritual lives, even if they both identify as the exact same faith. You shouldn't jeopardize your own faith for someone else, but if that is not at issue, any marriage is going to take a lot of work and prayer. And a LOT of striving for holiness, yes indeed! My husband sways to the agnostic side and views my faith with suspicion/disdain usually. He was raised Jehovah's Witness and so he's extremely put off by religion...since I converted after we were married I kinda pulled the rug out from under him. That being said, I try to live my faith relentlessly but quietly. I hope that our marriage benefits from my prayer regardless of whether he ever knows it, I hope that God lifts us both up together. I really can't talk about faith at all with him. I just try to tread lightly. I so love these three Elizabeths: St. Elizabeth of Portugal (who had a difficult Pagan husband whom she continued to love), St. Elizabeth of the visitation (Zechariah's hard head!) and Elizabeth LeSeur. I can sometimes get discouraged in prayer, but I think those times I need to pray more! Rachel, thank you so much for commenting! I had the situation you describe in mind when I spoke of scenarios that must be quite stressful at times. Granted, all marriages can be quite stressful at times :) but in terms of religious matters. I'm glad that you are able to practice your faith, and although you can't talk to him about it, it's still encouraging that he doesn't more formally object to you doing so. Rachel, oh good. I'm so glad!! Hope you like it and feel encouraged by it!